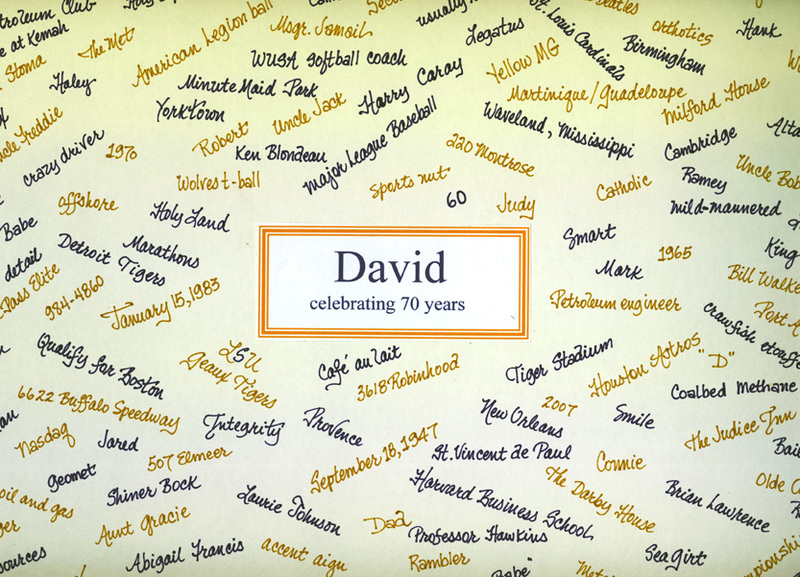 A nostalgic gift summarizing one’s life with words... perfect for a 70th, 80th, 90th birthday. It’s also a great way to celebrate a career, graduation, etc. Be creative and have fun with it! Custom Sketches “by beth” offers you a great way to capture a family, group, team or troup! These fun caricatures are a combination of artwork and photos of faces that you provide.